Children will be exposed to sickness and death at some point in their young lives because death is part of the natural cycle of life. Even young children who may not understand death react to grieving parents. Older children grieve themselves. As with all grieving, time eventually heals. 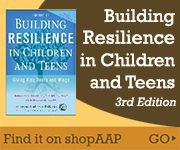 Parents need to support children through the grieving process to help them resume their lives. Children's lack of understanding of these ideas affects their ability to process what happened and cope with their feelings. Infants and toddlers do not understand death, but they can sense what their caregiver is experiencing. Take care of yourself and recognize your own need to grieve. Keep as many routines as possible intact. Routine is a protective force for children amid major disruptions. Avoid separation and provide extra physical attention to comfort your child and enhance his sense of security. Preschoolers see death as something temporary. Their misconception is reinforced by cartoons in which characters pop back to life moments after anvils drop on them from the sky. Because young children are concrete thinkers, seeing things exactly as they appear and hearing things literally, it is important that they are told about death in simple, clear language. Do not use euphemisms like, "She has gone to sleep," "…traveled to the great beyond," or "…passed away." These phrases will not be understood and may even generate fears of sleeping or taking long trips. Instead, young children should be told that their loved one has died and "that means we will no longer be able to see her." Be prepared for young children to continue to ask where the deceased is or when they are coming back. Continue to give clear messages, which can be softened with the knowledge that memories last forever. It is up to individual parents, of course, whether they will use religious explanations. For young children, using solely religious explanations may be ineffective because they need much more concrete, specific explanations about the physical realities of death. Because young children can't always vocalize their feelings, their thoughts and fears often will come out at unexpected times, like in their play. Remember that play can be the language of childhood, so remain alert to what kids may be trying to tell you through their play. School-aged children begin to understand death as a final event but may not understand that it is universal. Give your child simple and honest explanations about what happened and then ask him what he understands. Take time to clear up any misunderstandings or misinterpretations. Young children may need your support to find the words to express their emotions and find ways to help them feel better. Give children repeated opportunities to talk about their feelings. It is more important to listen than to say the perfect words. School-aged children also may not yet understand the causality of death. It is common for them to personify death (i.e., think of death as the "boogeyman" or a ghost). They may believe they are to blame and feel guilty for what happened. Assure them that nothing they said or did (or didn't say or do) caused the death and that nothing they do can bring the deceased back. Young children may also worry that they will be left alone, especially by the death of a significant adult. When an aunt dies, for example, a young child may ask her mother, "Mommy, when are you going to die?" Don't be surprised if your child becomes cuddlier, more watchful, and more possessive of your time. Remind your child that not everyone who gets sick will die. Reassure him of your health. Let him know how many people in his life care for him. Support children to do things to reduce their anxiety and be sensitive that they may not want to talk or think about the deceased because it is too painful. Take care of yourself and make sure you have support. Your child is watching you closely. When he sees that you are OK, he becomes more comfortable. This is yet another circumstance in which parents take care of their children by caring for themselves. Adolescents understand death on the same level as adults, but they may be resistant to expressing any emotions about it. Because teens are starting to think abstractly, they may struggle to find meaning in death and may be contemplating larger questions about the purpose of life. As a result, teens may engage in risky activities or experience guilt over being alive or anger over their lack of control over life and death. Be patient, but maintain high expectations for behavior. Whatever your teen is experiencing, the best thing you can do is to encourage the expression of grief in healthy ways. Sometimes exercise can help reduce tension. Listening to calming music or taking a bath can be relaxing. Writing in a journal, drawing, or other creative outlets can help children and teens express their emotions. Talking to a friend or family member may provide comfort. 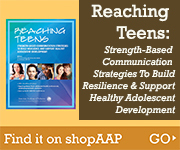 Model your own healthy coping strategies and show your teen how reaching out for help is an act of strength. Parents should be aware of normal responses to death as well as signs when a child may need professional help. It is common for all children to feel a wide range of emotions in response to the death of a loved one, including shock, sadness, anxiety, or anger. How they express these feelings depends on their age and development. Some young children might revert to immature behaviors (baby talk or thumb sucking) or become clingy or irritable. Others might act out with angry outbursts. Remember that these changes in behavior are likely manifestations of unexpressed emotions like confusion or frustration. Common reactions to death in school-aged children may include difficulty concentrating in school, problems sleeping, and recurrent thoughts about the death. School-aged children may report physical reactions like stomachaches and headaches, which can be triggered by being in places that remind them of the person who died. Teens will likely feel a wide range of emotions surrounding the death, including sadness, anger, guilt, and helplessness. In response, some teens may withdraw, while other teens may engage in risky activities (eg, self-injury, drug or alcohol use). Recognize that these actions are your teen's attempt to regain control and cope with his emotions.